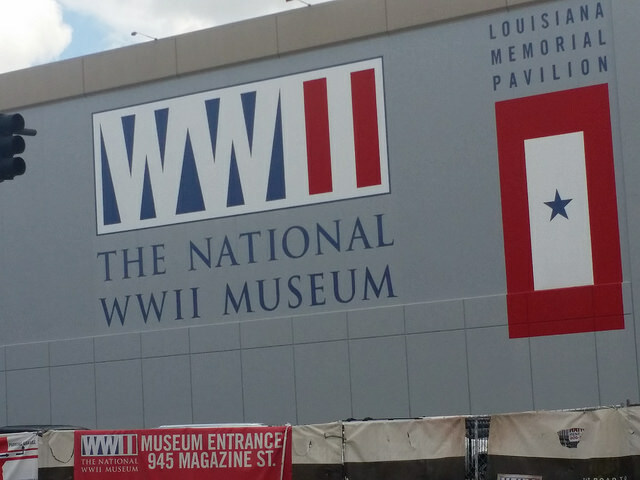 I recently spent several days in New Orleans and one of the sites I visited was the WWII Museum. It was actually the first museum I have ever been in when a second-day pass would have been a good choice. It can be purchased for an additional $6 — when you buy a regular ticket. If you have the time, it’s worth the few extra dollars. The reason I recommend it is the museum is divided into two floors: the European campaign and the Pacific Theatre. There is enough to read and see on each floor to easily take several hours. Two things make this museum one of the best. First, you are issued an interactive ‘dog tag’ with your ticket. Once you register your dog tag in a kiosk or by boarding a fake train (which is neat), you then follow the person — a real soldier — along their path through the war. They will most likely fight in one or the other campaigns — I do not know if any of the soldiers in the interactive piece fought in parts of both campaigns. This brings the war to life in a more personal way since you get to hear their story as you make your way through the museum. Since the museum is associated with some of Tom Hanks’ work it includes soldiers from Band of Brothers (the author was one of the museum founders) and The Pacific (Eugene Sledge, for example), so if you have seen those series, you will recognize some names. The other aspect of the museum that adds to its appeal is the 4D special effects movie — Beyond all Boundaries which highlights the war’s beginning. It’s worth the extra $5. The film is about 20 minutes long. We chose to watch it before walking through the museum. (you have to choose a film time when you buy your ticket). My only criticism of the museum is there are not enough stations for listening to the soldiers’ stories and, even on a mildly crowded day like the day my daughter, her boyfriend and I went, you often have to wait too long to use a listening station. Since there are several stations to visit this can slow down your walk through the museum. They have offset this somewhat by making the content available at home by logging in with your email address. The museum is open seven days a week, except for a handful of holidays. 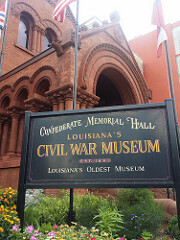 Just across the street from the WWII Museum is Louisiana’s oldest Civil War museum. The museum is a repository of Confederate items and includes artifacts owned and used by Robert E. Lee, Jefferson Davis and other Confederate leaders. 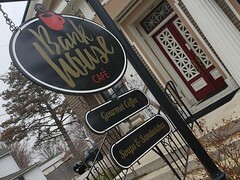 Although the museum is small, everything is housed on one floor, what they have is authentic and interesting. You can probably view everything in an hour or so.